Hot dip galvanized steel scaffolding planks has the fire, light weight, corrosion resistance, alkali resistance and high compressive strength, good appearance, durable and other characteristics. and it is widely used in Shipbuilding, oil, electricity and construction industries. Next, we can from three aspects to discuss its advantage: cost, safety performance and the use of installation. 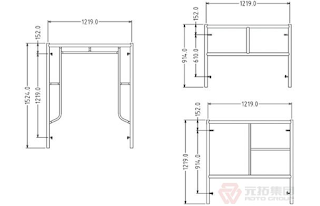 In the cost, it is lower than ordinary wooden steel board. and it is more environmentally friendly. In safety performance, it have corrosion resistance, acid and alkali resistance and can prevent burning. 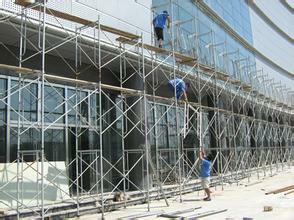 In addition, scaffolding planks i-section on either side of the design and internal embedded steel plate solid welding more increased its strength, 3 meters long scaffolding can take 5-6 people standing at the same time and not deformation, durable. Galvanized steel scaffolding planks is more convenient and quick for installation, same specification scaffolding, steel scaffolding planks certainly is much lighter than wood scaffolding planks, so that one person can take 2-4 tablets. It is greatly improve the working efficiency.